Ottawa’s famous Rideau Canal freezes over every year to become the world’s longest ice rink. People travel from all over for a fun day skating on the ice and many local workers even use it for their commute to work! At the weekend I went for an explore of this vast icy sheet of wonder and can happily report back that it is beautiful! On the canal there are stops where you can rent skates and warm up, one of the main places including stalls selling food and warm drinks to heat up. It was soooooooo good! Seriously I’ve already decided with all the yummy food here I’m going to be returning from my travels twice the size I am now. I munched it warming up by the fire and gazing out at people skating by. 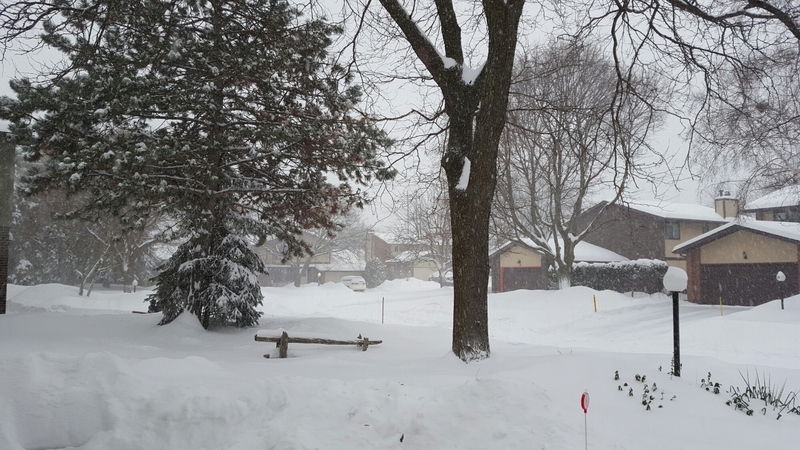 Not only did I arrive in Ottawa just in time for the weather to reach record breaking freezing temperatures, but today is slowly seeing the most snowfall the region has seen in years. The snow is still falling and there has been 50 cm of snow forecast to land in certain areas. You would think that would have the city at a standstill, but nope! Canada knows how to deal with this stuff and soon you see the snowploughs and snowshoes out in full force. We think at the time of taking these pictures the snow had reached about 18 inches deep… the snow is not meant to stop falling until tomorrow or even the day after.